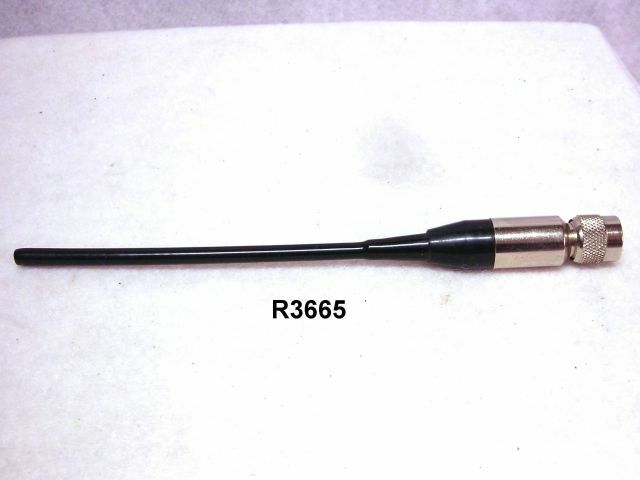 This flexible antenna is about 7" long overall, with a flexible radiator about 4" long. We don’t know for sure what frequency it was designed for, but the reference number we have, BTR410, could refer to a 2.4 Ghz Bluetooth system that seems to be obsolete. The connector is a male TNC type. Unused.